Testimonials and recommendations that customers provide are the most important tool of information the public can obtain and trust because it comes from people who had been in the same situation you could be in, right now. Please review your Connecticut bail bondsman after using our local services, here. I work hand on hand with Jason all the way from New Jersey great guy will go out of his way to help if u need help in. Connecticut Jason is the man to see. I am reviewing 3-D Bail Bonds. I highly recommend them for their level of professionalism in regards to their clients’ personal matters. The care and outstanding service make you feel at ease and their knowledge base is like nothing I have ever encountered. Jason Fink is pleasant and extremely knowledgeable, taking time to make sure the process was understood. I can tell the 20 years he told me he was in the business were solid ones. He made me feel at ease. I highly recommend them to anyone who needs a bail bondsman. He earned my 5-star rating on his own! I hope I won’t need a bail bondsman again, but if I do I will feel confident calling them! Despite my disappointment in needed services I was thoroughly impressed with the speedy service and welcoming attitude of Jason Fink and 3-D Bail Bonds. I used the services of them a few times and it was always good business, no complaint, I definitely recommend 3-D Bail Bonds to those in need. 3 D bonds was EXTREMELY amazing. Dan was so kind and helpful. He kept in constant communication with me through out the whole process. I had called a few other bondsman in the New London area who claim to care about people in need of their services but once they heard that this persons bail was very low they would hurry me off the phone with empty promises of calling me back and helping us. What a joke. They NEVER called back and would not answer any of my phone calls. I waited for over a hour for a response from the initial phone call.They werent going to make enough money off of me so they ghosted me. Not Dan at 3 D bonds, he called me as soon as he said he would, was very honest about the entire process, and even apologized to me that I was having so much trouble finding people to help us. Whoever gave a one-star review must have meant that for another place because I couldnt even imagine 3 D bonds just not showing up. Other bond agencies I had called were rude and unprofessional. 3 D bonds is the ONLY place you should give your business to. They are even highly recommended by the police officers themselves. Thank you, Dan and Peter, for being so compassionate and helpful. You guys are the very BEST. House and 3D bail bonds were excellent.. very professional and prompt. I definitely recommend them.. Very honest nice people came out quick and stayed until he was released. This was my first time dealing with a bail bondsmen and I’m so grateful I came across these guys. They were able to make a very chaotic and overwhelming situation workable, and walked me through the process answering any questions that I had promptly. They understood my financial situation and were able to help me out with an affordable and reasonable payment plan that worked for my family. If I am ever in need of this service, I wouldn’t hesitate to call 3-D Bail Bonds again. Very ethical and professional company. I would recommend them to anyone in this same situation. Tawn Burgos is a great bondsman. Highly recommendable. Easy to work with. Always there! Court processes can be intimidating. Luis provided us with context for what to expect and remained connected through the process. It made all the difference in navigating the experience. Drew is one of the nicest and most helpful guys and business owners you will meet. The whole team together was extremely helpful and made the process an easy and more comfortable one. Thank you! The bail bondsman at 3-D Bail Bonds in New London was very pleasant to work with. He described the process at the police in New London offered me a payment plan when I said I didn’t have the full fee and was able to get my brother out quick.This bail company has a very organized team and everyone I talked to was nice. Thank you. Big shout to Peter, the bondsman in Norwich. My family cannot thank you enough at this time of year. 3D Bail Bonds got my bro out on Christmas day. it is true they will send the bondsman even on Christmas. this is a very good bail bond company with good bondsmen. thank you for helping us. I am very, very happy with the service I received! The local bondsman came to help very quickly. Jordan in particular was very professional. I highly recommend 3-D! Great customer service, Melinda was a great help with everything . The whole process went smoothly and way faster than I had expected . Melinda was very helpful & professional & understanding, she is a very kind Woman & would recommend anyone to talk 2 her. Melinda was very helpful, professional courteous, and informative. She helped to understand the process as we asked several questions about the systems process. She is an asset to your company. A friend needed to be bailed out and 3-D was there in a flash. Drew bloom was very professional on the bail service that he wrote for a friend of mine. 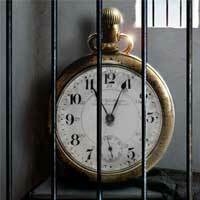 3d bail bonds are the most professional agency around. 11/9/2018 S. Gottlieb reviewed 3-D Bail Bonds Avon. Jen and Monica were very helpful and nice. They made this process very easy and made me laugh at tough times… great job!! 11/9/2018 Raymond L. reviewed 3-D Bail Bonds New Britain. Thanks 3- D Bail Bonds and Tawn Burgos. You all were very helpful and wonderful to work with. Very fast. 11/8/2018 V. Deida reviewed 3-D Bail Bonds Hartford. 11/7/2018 Tanya Cruz reviewed 3-D Bail Bonds Hartford. Thank you to Tawn Burgos and 3D Bail Bonds, Inc. Very fast and reliable bondsman. Highly recommended. 11/7/2018 William Telesco reviewed 3-D Bail Bonds Stamford CT. They have always been there to help me and my family. They are the best!!!! 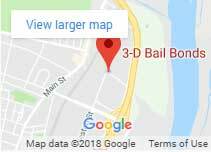 11/5/2018 R. Stone reviewed 3-D Bail Bonds East Hartford. 11/4/18 review Bail Bondsman in Hartford by J. HART. Excellent. Very responsive and didn’t have to wait long for him to show up even though it was 1 am. Very helpful and explained the whole process. Highly recommend! 9/13/2018 A. Russell reviewed 3-D Bail Bonds New Haven CT.
Great customer service! Luis was professional and very humble. A. Ortiz 8/28/2018 reviewed Hartford Bail Bonds service. I’m very thankful to Luis for helping me get my best friend out of jail. He was friendly, professional and helpful by explaining the whole process. He got to the police department before I did and made it a quick transaction. If I ever need services again, I’ll definitely be calling him. Amy D. ~ August 28, 2018, reviewed New London Bail Bonds service. Wonderful, quick, reliable. House is one of the best bonds man’s I’ve ever dealt with. Made the whole experience easy and quick. I would highly recommend using 3D Bail Bonds. I had quite a bad experience dealing with bonds men in New Haven in the past, so called around a lot to make sure these people were real and in my search for a good service I really feel I scored big time! I’m so grateful to have found 3-D Bail Bonds inc especially Jennifer. She was very helpful with her recommendations when dealing with the new haven correctional center and the overall circumstances. Thank you so much, wish I could give you more stars. I spoke with both Dan and Jason. I have never dealt with anything in this stature before and they both took time out to give me all the information I needed as well as answering questions that didn’t even pertain to their business. They truly were the most helpful people I could have talked to through the whole process. I would recommend these guys to anyone in a heartbeat. I can’t thank them enough! They helped me even on the 4th of July. Truly grateful. This was my first time needing a bail bond and Luis was very polite and friendly and very knowledgeable and informative in explaining the process. Hopefully, I won’t need a bail bond again but will definitely be calling them again if I do. C. Carmine ~ June 2, 2018, reviewed our bail bonds service in East Hartford. I needed a bail bondsman so I called 3-D! Jason Fink came out asap! Jason was friendly and very professional. He explained the process thoroughly so I knew exactly what was going on. He said that he has been in the business for 20 years and it shows! Eric X ~ May 30, 2018, reviewed East Hartford bail bondsman service. They ( 3-D Bail Bonds Bondsmen) helped me right away to get my fiance out. No stress he even helped me fill out the paperwork. Will definitely use them again but hopefully won’t have to. M. Wyszynska ~ May 2, 2018, reviewed Bail Bondsmen service New Britain. Let me share my experience the best I can so if you are ever in need of this service you know what to expect. First of all never dealt with police before. The whole arrest thing was very scary. Expect to call around bail companies that won’t answer their phones. When I called 3D they did pick up right away. This company was very honest. They explained what the situation was and what I needed money wise keeping their word all the time. I recommend this company not just because their service was excellent, but also because they were nice when things weren’t exactly pretty in my family. Thank you 3-D Bail Bonds and all the New London agents who came out and did what needed to be done to get my lady released. these people aren’t just nice, they’re real and honest. Jordan and Peter and some other lady, they all were of a such help to me and my family. This was a painful day and they made it better for all of us. thank you very much. Great people had good laughs during a tuff time fast affordable great for a payment plan. Very quick and very Helpful. Stayed late in a snowstorm to get my man free!! Thanks Luis!! 3-D was incredibly helpful to me during an extremely sensitive situation. They were professional, on time, and knowledgeable. After using their services, I’ve called with follow up questions and they walked me everything I needed to know through necessary processes. I am so grateful for their willingness to help. They are the best at what they do! happen to need a bonds company for my friend last week and these guys came to help so fast. I was happily surprised and very pleased with their service. professional guy Jason and Luis at the office they’re all great. Thanks. April 13, 2017 ~ W. Saul reviewed 3-D Bail Bonds in East Hartford, read more at Bail Bonds Reviews East Hartford, CT.
TJ was very helpful and made the process easy. Made me feel at ease after being stood up from another bondsman. April 18, 2017 ~A. 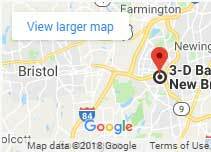 Cameron reviewed 3-D Bail Bonds in New Britain, read more bails testimonials at Bail Bonds Reviews New Britain, CT. In a trying time, it was very helpful to have a knowledgeable and patient person to handle my tough situation. Jennifer, in the New Britain location, answered all my questions and took the time to explain everything thoroughly. I would recommend using 3D if you are in this tough situation. Jan 20, 2017 ~ C. Chaffee reviewed 3-D Bail Bonds New Britain. Accounts Receivable Manager’s Note: I had the pleasure of speaking with Ms. Stephanie this morning at 10:11 am. She was calling to make a payment and wanted us to know that we have an amazing group of people working here at 3 D Bail Bonds. She specifically mentioned the young lady at the New Britain office (Jennifer Burgos) who gave her such great advice from the very beginning. She said that she would recommend us to anyone, and if she was ever to go through an experience like this one again she could never call anyone else. This lady was very pleased with the service she received throughout this entire experience and wanted someone to know. Jan 11, 2017 ~ Bobby Rodriguez reviewed 3-D Bail Bonds in Hartford, CT.
Jose came to the station to bail me out. He was there quickly and the poor man had to wait for over an hour for them to let me go and he waited patiently. Thank you, soo much Jose and I would recommend these bail bondsman to everyone!!!! Jun 18, 2015 ~Laura B. “3d was the only company open during my time of need. Yamila was more than helpful and I recommend her services to anyone. Best bondsman service in Hartford.” ~ Brian C.
“to 3-D Bail Bonds + friends: Thank you all for being there when I needed you. I hope that you “all” have a wonderful holiday and a happy new year. God bless you.PS: Ruben you made my list.” ~ Kimberly G.
“I have had the pleasure of doing business with Dan and Drew as an attorney and they have provided excellent service to my clients. They have been available to consult and get my clients released faster than any other bondsman I have called and have always been able to work with my clients to get them released quickly. I highly recommend them.” ~ James Ruane, Esq. “They took a chaotic situation and made it very workable and added some semblance to a situation. When someone you know gets arrested it can get very overwhelming. These guys really helped out.” ~ Terry S.
“I wanted to take a moment to appreciate this company. sadly my son was arrested a few times and always in a hard situation for me. 3-D Bail came out during the snow storm and bailed my 19-year-old son at midnight. They are the most respectful bail agents I know. serious, on-time and very PROFESSIONAL!!! unlike others. It doesn’t matter when you call them, they will go out and post bail for you.” ~ Danisha T.
“Mejor servicio y agentes bien profesionalesLa gente de 3-D Bail me atendio y ayudo como si fuera mi propia family. Estoy muy agradecida con el servicio y los pagos ofrecidos. El bailbonds es una cosa que nunca imagine yo tendria que hacer pero gracias a Dios los agentes me explicaron y ayudaron en todo. Espero que esta recomendacion la ayude a usted si esta atravezando por una situation parecida. muchas gracias.” ~ Monica L.
Did you have a good experience with us? Your reviews help us measure the quality of our service and at the same time help other individuals who may be going through the same situation. You are our No 1 priority and we want to always exceed your expectations. 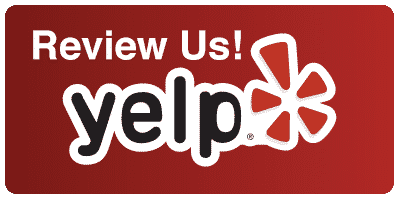 Feel free to post a review for us on Yelp, Google My Business, or Facebook and thank you!